There’s more to Penang than char koay teow. Here are 15 top attractions you need to see for yourself. 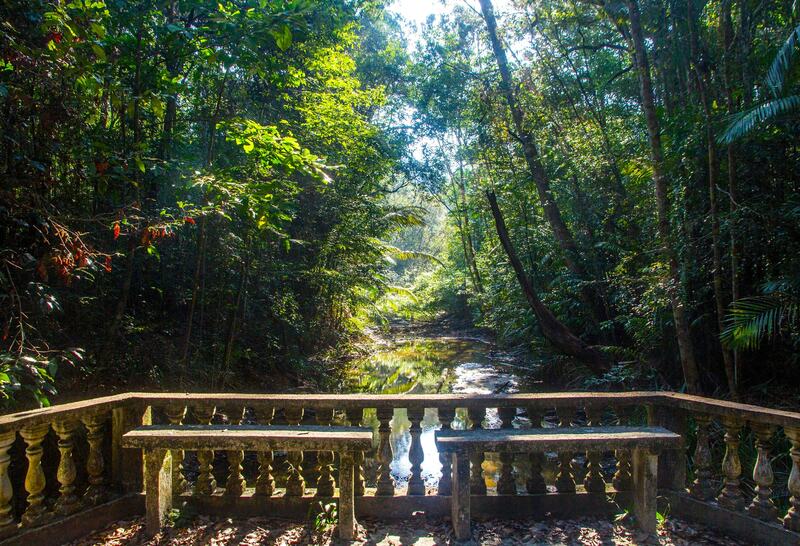 Tucked away on the less populated side of the island (Teluk Bahang), Penang’s National Park is thick with rainforest, wildlife (monkeys, lizards, cicadas that sing even in the daytime). It covers eight beaches, including but not limited to Pantai Kerachut, Pantai Mas, and Teluk Duyung (also known as “Monkey Beach,” though real monkeys are scarce). The end goal of most trekkers is the Muka Head lighthouse. Climb atop and you’ll be rewarded with a panoramic view of the sea and city. 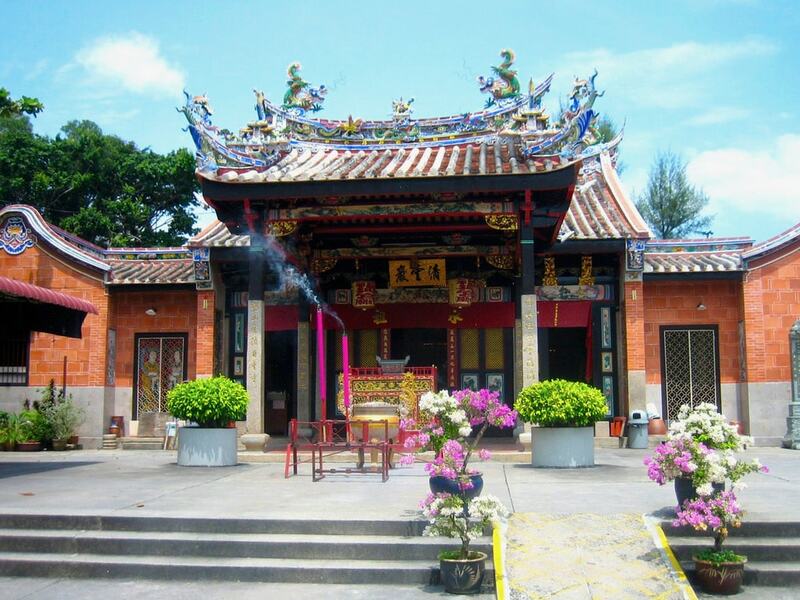 What better way to spend Chinese New Year than at Penang’s most illustrious temple? 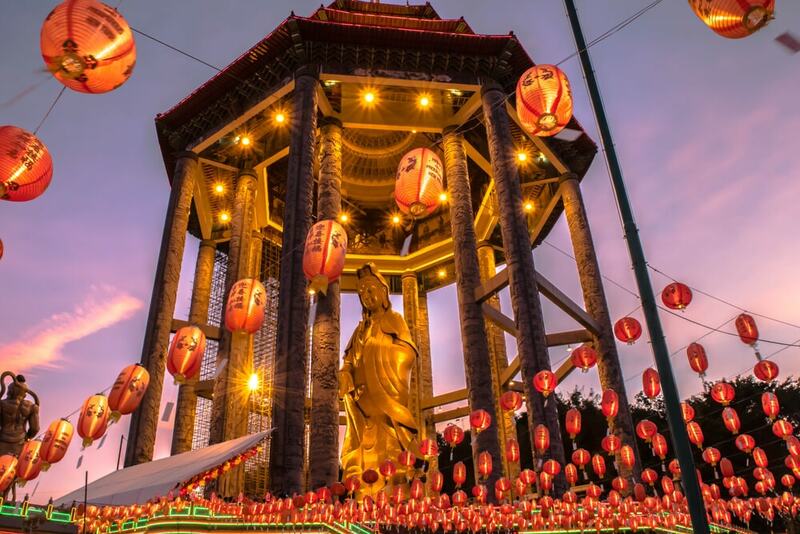 Built in the late 19th century, this “Heavenly Temple” has a Goddess of Mercy that stands 99 feet (30.2 meters) tall under an octagonal pavilion and a devotional pagoda that incorporates the best of Thai, Burmese, and Chinese architectural designs. When it lights up for Chinese New Year, the entire complex is bathed in an ocean of light — kind of like the penultimate scene in Disney’s Mulan. This elaborate Hindu temple in Queen Street is hard to miss. A small, colorful gopuram (a tower ornamented with Hindu deities and floral decorations) rises out of this unassuming temple, housing the Goddess Mahamariamman. It’s best to visit during the Chitraparuvam festival, when the temple becomes the final destination of the Chariot procession of Lord Subramaniyaswami. Penang is not new to ghosts. After all, we welcome our friendly, ghostly friends every seven month of the Lunar Calendar and burn paper oblations to ease their lives in the afterworld. But what is new is this Ghost Museum on Malay Street. 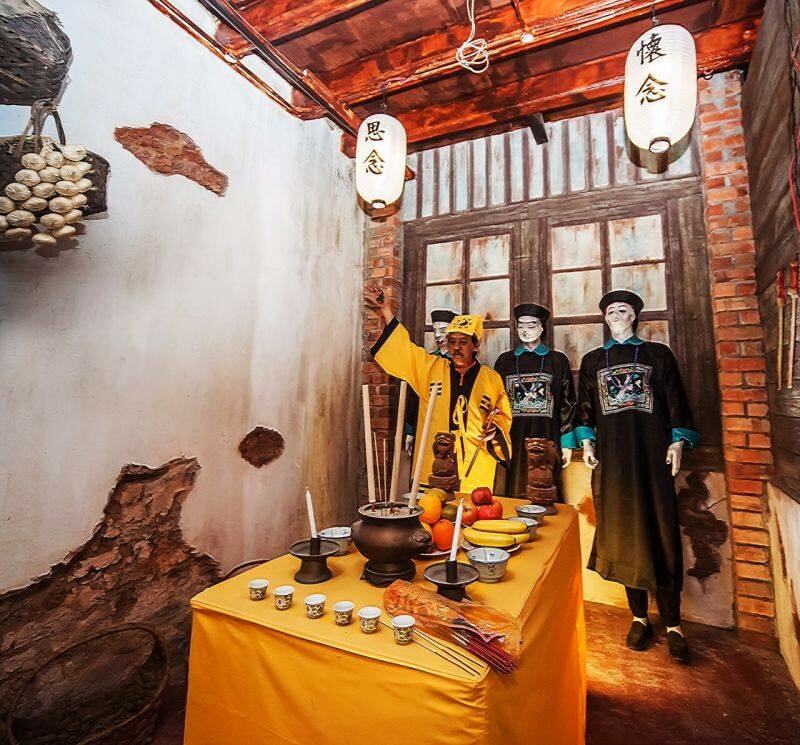 Learn about ghosts from different cultures and take a selfie with that long-haired pontianak. If you’re used to horror films, this is children’s play. Not enough has been said of this market du jour. Little Penang tried to do it for a good haul, and Straits Quay attempts it every month, but if you ask me, nothing beats the vibe (pun intended) and catholic (not the religion) inclusion of this funky place. Roughly 800 people visit this market every Sunday to buy light bulb terrariums, modern handicrafts, and homemade granola. This fun, groovy place is still fiercely “local” — and I suggest an immediate visit before the corporates swoop in and take over. Nobody really goes to one without going to the other. 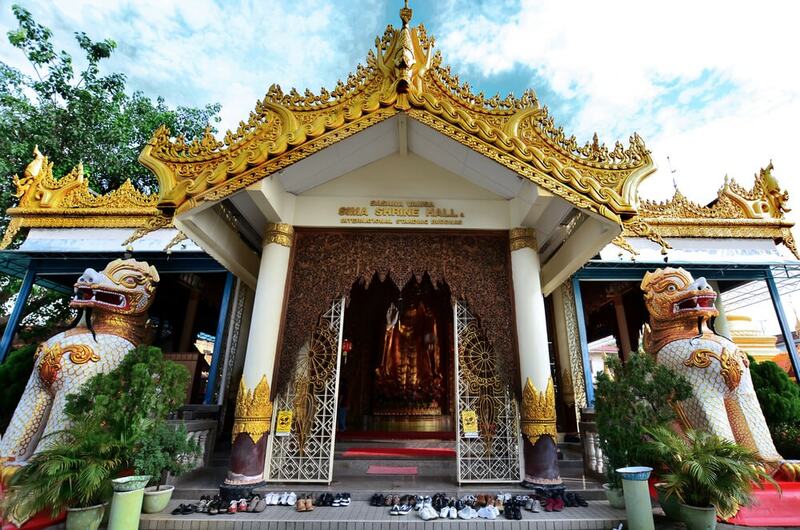 Situated side by side on Burma Road, these two temples feature intricately decorated pagodas and stunning golden statues. In fact, the centerpiece of the Wat Chaiyamangalaram is a Sleeping Buddha measuring 108 feet (33 meters), making this stone figure the third longest (of its kind) in the world. Inspired by a bit of cultural Buddhism? You can even purchase prayer beads and lotus candles from the temple or the vendors outside. Unless you’re allergic to these delicate winged creatures, there’s no reason not to visit the Entopia Butterfly Farm in Teluk Bahang. 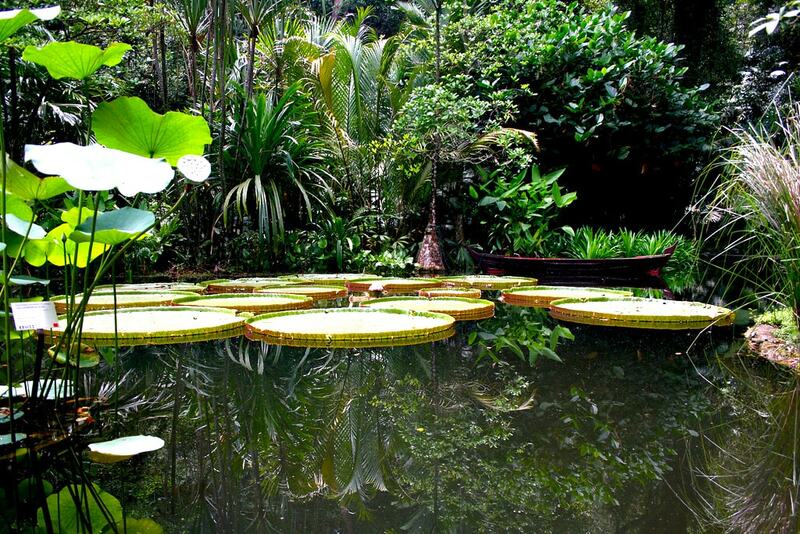 A remarkable hub of exotic plant species and 15,000 free-flying butterflies, this beautiful garden will make you wish you were a garden fairy. For those who enjoy learning about our insect friends, the cocoon features interactive edu-stations and illustrative butterfly evolution maps. Super kid-friendly. Ever wondered which herbs made your jiu hu char so flavorful? Well, this is where you find out. With eight acres (32,375 square meters) of award-winning gardens featuring hundreds of tropical herb plants, this lush plot is where you should be spending your afternoons. If you’re prone to mosquito bites, you might want to wear long pants or bring mosquito repellent. Go for the guided tours — they’re better than the audio ones. It’s in the name. Amidst the smoldering joss sticks and burning paper effigies, there are snakes lurking around. Most have been de-venomed, though legend insists that the pit vipers wouldn’t hurt anyone anyway, out of reverence for the Buddhist monk who first gave them shelter in the temple. Heads up: The snakes aren’t caged. If night has fallen and you want to do something quick before bar-hopping, drop by the Avatar Garden in Tanjung Tokong. 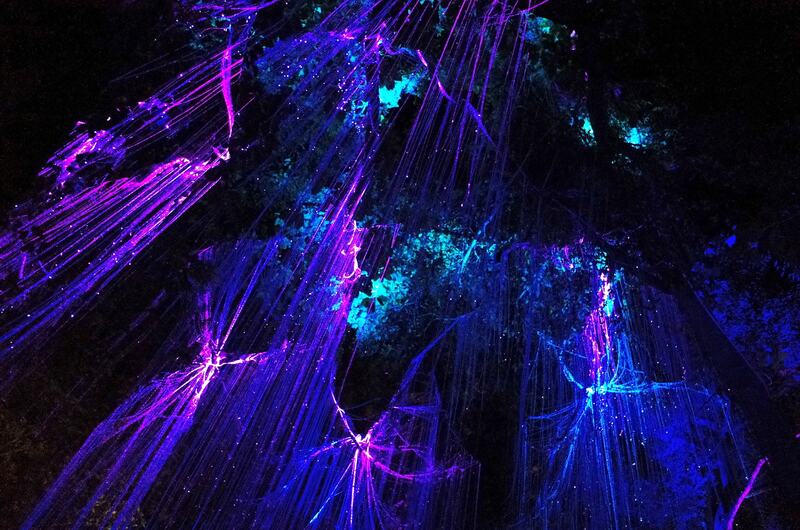 This romantic, mystical place is roped with a dazzling array of colors, and the best time to see it is after sunset. Entrance to the garden is free, but parking can be a pain, so be sure to grab an Uber or GrabCar (or, really, a bus). This bazaar made it to this list thanks to its eclectic vendors (who sell everything from oil paintings to batik sarongs), great seafood selections (deep-fried squid, anyone? ), and long stretches of sandy beach. The closest hotel would be Rasa Sayang Resort by Shangri-La, but if you prefer a quieter stay, Lone Pine Hotel is better. Recent years have re-established George Town as a central hub for art and culture, and this is in no small part thanks to the flourishing street art scene. 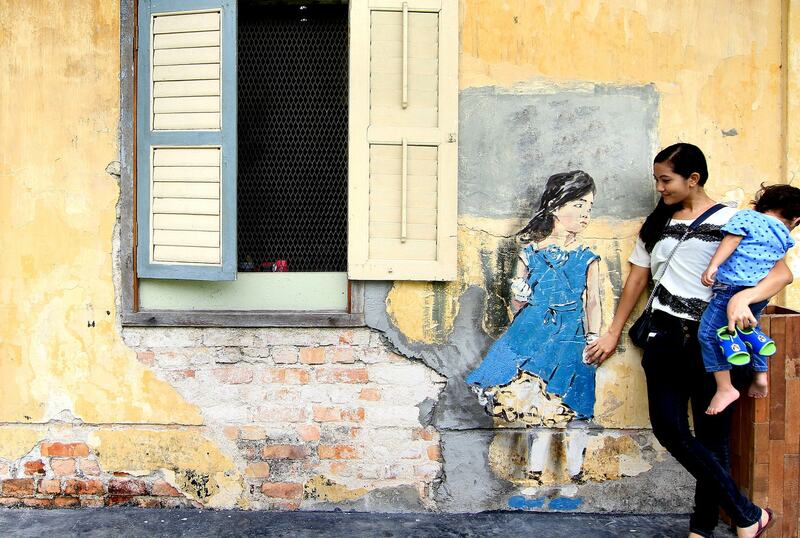 Artists the likes of Ernest Zacharevic, Louis Gan, Rone, and Kenji Chai have made Penang their canvas, memorializing the city’s past by painting it on present walls. Don’t forget that street art isn’t just confined to George Town. Balik Pulau has a few wicked murals too, many of which are painted by the Russian artist Julia Volchkova. 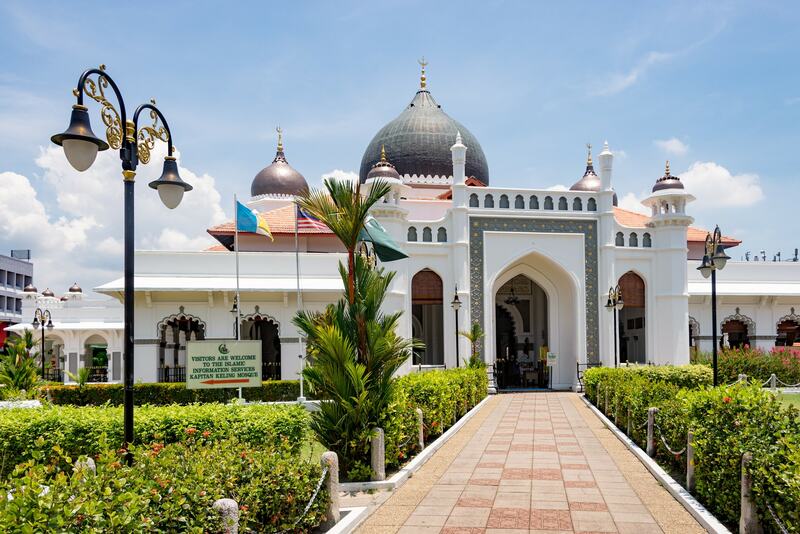 The charm of Malaysia is its ethnic and religious diversity, and if you’ve been to the Buddhist and Hindu temples in town, it’s time to visit the Kapitan Keling Mosque too. First built by Indian Muslim settlers in the 1800s, this stately mosque has a well-manicured lawn, whitewashed walls and columns, and Jawi calligraphy. You will be asked to wear appropriate clothing to enter. Make sure you get a guided tour, or the different fruit species will be lost on you (unless, of course, you’re a biologist). At 800 feet (244 meters) above sea level, this orchard has the perfect climate to cultivate 370 edible fruit species. From green figs to passionfruit, pink guava to cherry tomatoes, here’s where the life of fruits begin, before ending up in your local market. Note: Some fruits, like the acai berry, are still under research. 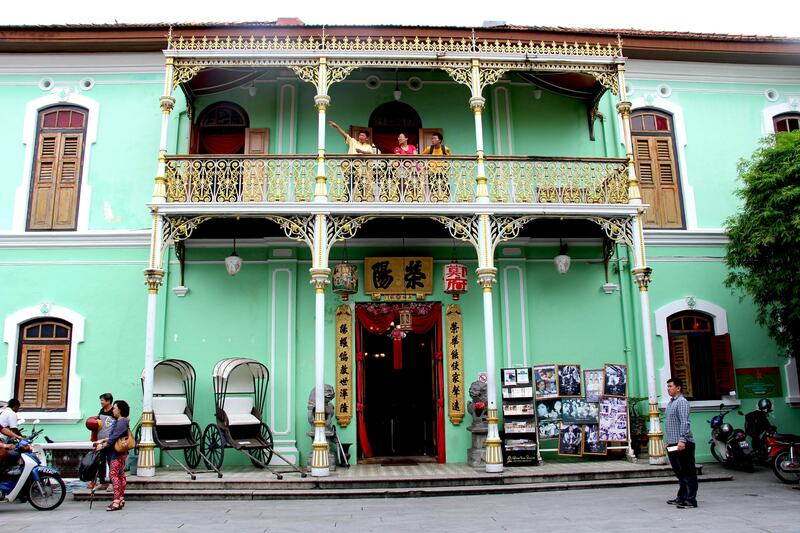 The pale-green exterior of this old clan house doesn’t do justice to what lies within — exquisite East-meets-West architecture, finely carved furniture, a plethora of peranakan artifacts. Learn about Nyonya culture from the building that has seen it all, and visit the temple beside it for a sleeping bat or two.